I found these yummy crunchy chic pea snacks at Whole Foods. But they have added vegetable oils and sugar cause inflammation and are not healthy. So I set out to make my own. But they never came our very crunchy. After MUCH searching I found TWO keys to making them healthy, crunchy, and delicious!! Peel your chick peas. 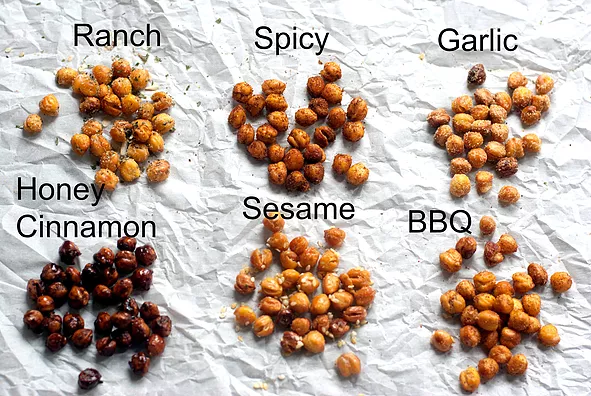 YES, chick peas have a really thin skin you can peel off by gently pinching each one between your fingers. It does take time, but if you want them crunchy, this is the key!! 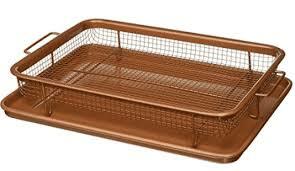 Purchase a crisper tray. This is so worth it and you can use it for other healthy recipes. It allows air to flow from all angles, no stirring half way through, and your chick peas won’t stick. It is REALLY important that if you add oil, ad it AFTER you finish roasting your chic peas. Olive oil can not handle high heat. It will burn and oxidize, making it a toxin. Any oil that claims it handles high heat has been chemically processed and should be avoided.